Editor’s Note: I hate writing about the draft. Andrew does not. Hence, Andrew will writing a shitload about the draft for the next few weeks. You’d be hard-pressed to find a player in this draft who was more dominant in college than Jonathan Allen. And the ways he dominated translate to the next level. Allen beat blocks over and over and over. He had nearly perfect technique. His ability to use his hands is already as good as anyone who is in the NFL. 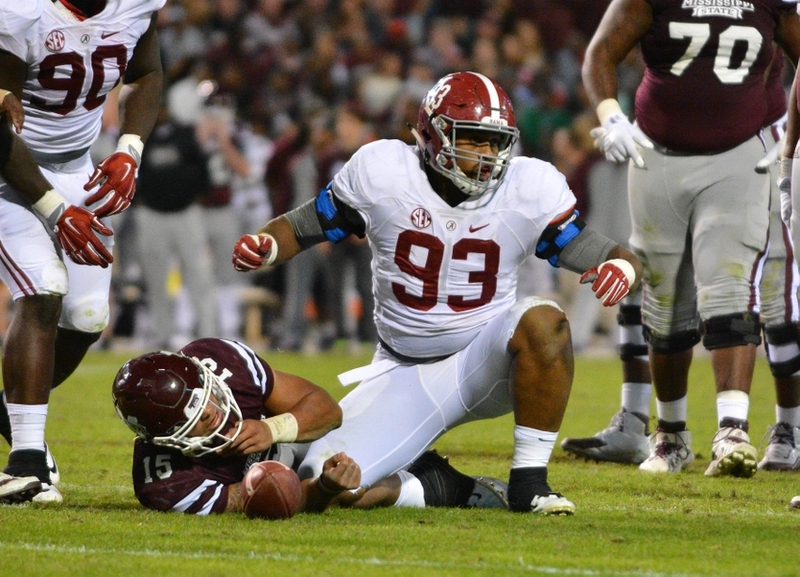 Over the last two years he’s had 30.5 tackles for loss and 22.5 sacks, despite spending the 2015 season in Alabama’s deep defensive line rotation. In 2016, he showed he could handle a full-time load, finishing with 69 tackles, 16 for loss and 10.5 sacks. He’s considered by most to be a better prospect than either of the top defensive linemen the last two years, Leonard Williams and DeForest Buckner. For the Bears, he’d give them a better option on base downs than Mitch Unrein and would be their best pass-rushing defensive lineman. With Leonard Floyd and Pernell McPhee coming off the edge, Allen and either Eddie Goldman or Akiem Hicks would pressure opposing quarterbacks up the middle to give the Bears possibly the best pass rush in the NFL. But…is he ever going to be special? Allen is just not a special athlete and, for the most part, all the best players in the NFL are also terrific athletes. For the most part, the Bears play two down defensive linemen and Allen might not be able to hold up against the run to control two gaps in those formations. If he has a flaw, it’s that he can get swallowed up by bigger blockers – something that isn’t uncommon – but the Bears built their defensive line around two 325-pounders for a reason. Would drafting Allen be giving up on Jonathan Bullard? Generally, the Bears only have enough snaps for one smaller defensive lineman on passing downs. Last season Bullard had a difficult time finding the field, but he has tremendous athletic upside. Allen is one of my favorite players in this draft class. I won’t speculate about his shoulders because I’m not a doctor. I’m also not worried about his athleticism because he tested about the same as Williams and Buckner, both of whom have been terrific in their careers so far. He may never be J.J. Watt or Von Miller, but I think he’ll be a top-level starter from day one and add some juice to the Bears pass rush.